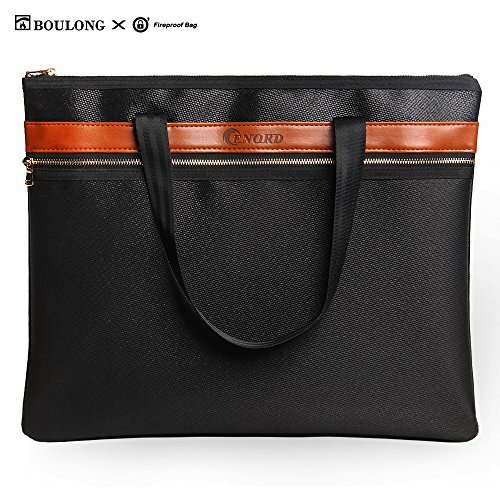 3rd generation fireproof bag design: Layer bags, metal zippers, portable, skin-friendly, unburnable edges, heat-resistance 2300°F, honeycomb-like micro structure, potential inner explosion from Lipo battery sealed. Invincible during a normal level fire hazard: fireproof certificate UL94, waterproof certificate IP66, and CPISA certificate. Large Size: 15\" x 12\" can hold laptops, birth certificates, cash, passports, graduation certificates, A4 papers and other important documents. Free Lifetime Warranty: 30-year-old producer, partner of National Fire Protection Association, free replacement when there is any defect. Warning: no fireproof bags in the market can maintain gold/jewelry under a high heat; they will melt. We caution our dear customers when purchasing any fireproof product. Seems well made, however, I have my doubts.